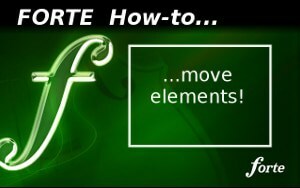 Today we present you a simple and effective tip to move any kind of elements in your sheet music with the help of the arrow keys on your computer keyboard. Sometimes you might want to move elements like: texts, clefs, articulation marks… fast and accurate to the prefered position of your score layout. Using the “CTRL” key in combination with the arrow keys you can simply move almost any element of your score. To do so, switch to select mode (“Ctrl+1”) first. Then select the elementyou wish to move by clicking it with the left mouse button. Your selected element should turn red now. Press the “Ctrl” key and hold it while you move the element with help of the arrow keys on your keyboard. (left, right, up, down). Following the same steps: You can also select barlines to resize the space of several measures. Switch to select mode (“Ctrl+1”) again and select a barline by clicking on it with the left mouse button. The barline should turn red now. Press the “Ctrl” key and hold it while you resize the space of the measure with the arrow keys (right, left). Was this tip useful for you? Do you have any comments or questions? We are looking forward to get your feedback. 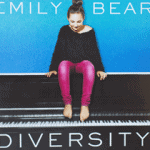 Summer contest: Win the new album of the great young pianist Emily Bear The winners of our summer contest are chosen. Congratulations!